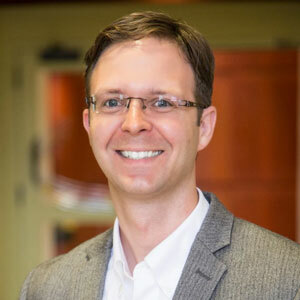 Dr. Macklin is an Associate Professor and Director of Undergraduate Studies in the Department of Intelligent Systems Engineering at Indiana University (IU) in the United States. His lab develops open source computational tools for multicellular systems biology. He has developed cross-platform, parallelized C++ open source codes for multi-substrate diffusion (BioFVM) and large-scale agent-based simulations in 3-D tissues (PhysiCell). These codes have been applied to diverse problems in cancer biology, nanotherapy, tissue engineering, immunology, cryobiology, synthetic systems, and microbiology. He has worked closely with others to develop new capabilities for the PhysiCell platform, such as integrated Boolean signaling networks (PhysiBoSS), high-throughput model exploration and optimization on supercomputer resources (PhysiCell-EMEWS), and cloud deployment of user-interactive agent-based models (such as pc4cancerimmune, hosted via nanoHUB). Prior to his time at IU, Dr. Macklin was an Assistant Professor Health Informatics at the University of Texas Health Science Center-Houston, a Lecturer of Mathematics at Dundee University in the United Kingdom, and an Assistant Professor of Research Medicine at the University of Southern California. Macklin holds a B.A. in mathematics and German from the University of Nebraska-Lincoln (minors in physics and economics), an M.S. in industrial and applied mathematics from the University of Minnesota-Twin Cities, and a Ph.D. in computational and applied mathematics from the University of California-Irvine. He has served on numerous think tanks and working groups, such as the Breast Cancer Research Foundation's think tank on precision prevention and an upcoming scoping meeting on high-performance computing in cancer, hosted jointly by the US Department of Energy and the US National Cancer Institute. He serves as an editor for GigaScience (data-driven multicellular systems biology), Mathematical Biosciences and Engineering (biosciences section), and ScienceOpen.com. Dr. Macklin regularly involves undergraduate teams in his research program, using novel mentoring methodologies that are the focus of research in engineering and STEM education. Dr. Macklin regularly shares his work with the public via Twitter under @MathCancer.